Governor Jack Markell, Delaware. Photo by Kevin Flemming. Delaware is known for being the first state in the union and for being the second smallest. But this little state is now making a big impact for employment of people with disabilities. Putting Delawareans back to work has been one of the state’s top five initiatives since Governor Jack Markell (D) took office in 2009. And, since his appointment as 2012–13 Chair of the National Governors Association, Markell has focused specifically on increasing job opportunities for individuals with disabilities. 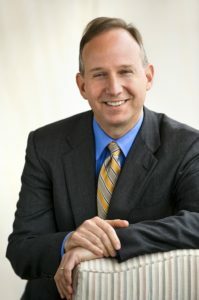 Maintains Markell, “State executives have the responsibility to ensure that all citizens have the opportunity for productive employment.” His A Better Bottom Line: Employing People with Disabilities initiative focuses the work of all state chief executives on developing best practices, with the goal of increasing the employment ranks of people with disabilities across the country. It is Markell’s position that when all facets of a community work together, their efforts will benefit all. Therefore, he is committed to forging cooperation among constituents and focusing on what individuals have the potential to achieve. Within Delaware, Markell has convened meetings of educational and business leaders to engage in dialogue on how workers and businesses can best suit each other’s needs. “The climate for business in Delaware remains positive, while at the same time charged with a passion for helping the unemployed and underemployed at all strata,” says the governor. Markell relates the experience that led to his own passion and involvement with the cause of employment for people with disabilities. “Ten years ago I visited a Bank of America Center, a major employer in our state and an employer committed to jobs for people with disabilities,” he says. “The facility I visited was making promotional materials. I talked to a guy who was making T-shirts. He was so excited to have the job. He told me that before this job he had sat at his parents’ home for six years doing not much more than watching television. The job was such a profound improvement in his life and the life of his parents! I realized that there are a lot of other people like him and I’m committed to making a change in their lives. How to move that needle has been a part of his agenda from the beginning. Markell’s approach brings education, business and general community members together, changing both attitudes and, more importantly, the actual number of people employed. As of 2011, two years into Markell’s term, Delaware is above the national average for employment of people with disabilities: 36 percent over a national figure of 32.6 percent. The table below illustrates the success of Markell’s efforts in Delaware. Specifically, his initiative, A Better Bottom Line: Employing People with Disabilities spotlights the employment challenges that affect individuals with intellectual and other significant disabilities and the role both state government and businesses can play in facilitating and advancing opportunities for these individuals to be gainfully employed in the competitive labor market. Employment in DE state Govt. Markell hopes that by August 2013, through the National Governors Association initiative, he will have created a blueprint for businesses and states that identifies best practices and outlines steps that can be put in place to increase economic opportunity and heighten awareness. This blueprint would provide governors and state policymakers with more policy options to assess their own states’ needs and develop specific strategies to support their populations. Employment of people with disabilities “is the ultimate bipartisan issue,” he asserts.